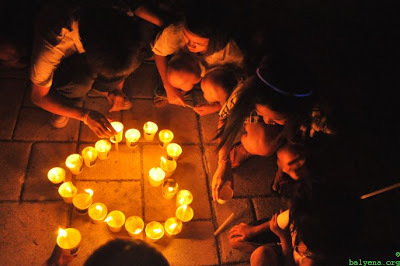 On March 23 at 8:30PM, million of people around the world will turn out the lights for Earth Hour. an event to raise awareness about to need to take action on climate change and the impact of human activity on the environment. The Earth Hour movement has grown into the world’s largest voluntary action for the environment since it first took place in Sydney in 2007 with some 2.2 million participants. In 2012 an estimated 1.8 billion people joined the event around the world. This year, organizers expect some 7,000 cities in 152 countries to participate. By the way, I read somewhere that major international landmarks will also join the observance of Earth Hour. These include Cape Town’s Table Mountain, the Statue of David in Florence, Tokyo Tower, Taipei 101, the Bird’s Nest in Shanghai, Kuala Lumpur’s Petronas Towers, the Gateway of India in Mumbai, the walls of Dubrovnik, Buckingham Palace in London, Times Square in New York, Niagara Falls, Toronto’s CN Tower and the Las Vegas Strip, and many more. I have been observing Earth Hour for the last five years and some of my friends also do so. You might think that it's a little strange to sit in the dark for one hour but you don't really need to just sit there and stare in the darkness. There are a lot of things one can do even in the dark. For one, you and your friends can share new stories or jokes. With our dependence on technology such as text messaging, online chat, etc. that we have forgotten how fun it is to actually have a chat and tell stories. While at it, you may want to unplug some of your electronic devices like chargers, computers, microwave ovens and airconditioners. One of my musical friends usually do an acoustic sing-along during Earth Hour. He and his buddies bring out their guitars and jam for 60 minutes. Sometimes they even go beyond the time especially when they're having time. Me, I just sit in the darkness and try to be aware of my surroundings. I listen to the chirping of the crickets, the distant barking of dogs and the usual human activity of my neighbors. I try to shut out the noise of their televisions, their motorbikes and other stuff that contribute to what Earth Hour wants us to be aware of in the first place. I hope this year, you join us for just one hour on Saturday. Aside from switching off your lights, you may also want to unplug other appliances like your TV, game consoles, DVD and Blu-Ray players. 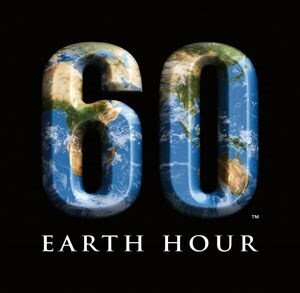 You will feel great after Earth Hour knowing you have contributed in a global event. Hooray for March 18, National Breakfast Day!